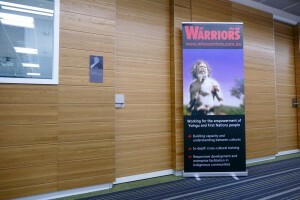 Why Warriors offers a range of training and learning services that can provide you or your organisation with the knowledge and skills to understand Aboriginal culture, work and communicate effectively with Aboriginal communities, design appropriate projects, and avoid many of the pitfalls that so often hamper well intentioned programs. 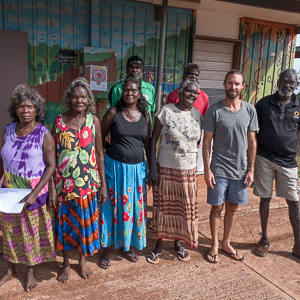 In partnership with Yolngu (Aboriginal) leaders, we provide a range of practical cross-cultural training to people from mainstream environments, from basic cultural awareness to advanced cultural competency and community development training. We share with you over 30 years of lived understanding and experience of traditional and contemporary Indigenous culture. Choose from a range of training opportunities, designed to meet your personal or corporate needs, that will take you deeper than you could ever imagine. Do you need to increase your cultural knowledge in order to work more effectively with Aboriginal people? Do you write policy or run projects with Aboriginal communities? 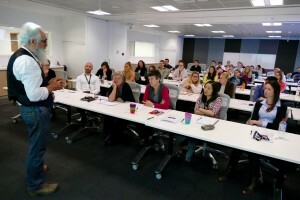 We run a range of training events across the country, ranging from our acclaimed 2-day ‘Bridging The Gap’ seminars to more advanced, sector-specific workshops and tailored sessions. Does your organisation’s success depend on your ability to collaborate or engage with Indigenous communities? Are you involved in frontline service delivery in Aboriginal communities? Is good cultural awareness a key foundation for your company’s vision and practice? We can help you to ‘get it right’ and build strong cross-cultural partnerships and successful community projects. Do you need someone with 40 years of experience to come and help you problem-solve at the cross-cultural interface? Richard Trudgen possesses of lifetime’s worth of cross-cultural knowledge and community development skills to help you develop appropriate materials for Indigenous audiences or resolve any conflicts that can so easily occur in the cross-cultural ‘grey zone’. 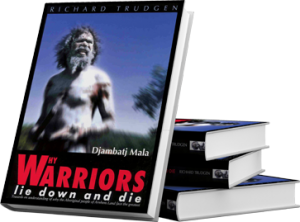 Yolngu leaders have joined forces with Why Warriors to offer unprecedented cultural immersion into their worldview and way of life. If you’ve ever dreamt of sitting around the fire with an extended Aboriginal family and intimately learning about their ancient culture on a traditional homeland in a pristine natural environment, then come and be part of one of our On Country Learning Experiences. 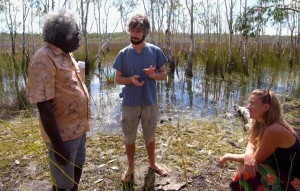 We also offer interactive Yolngu Culture & Language programs for schools and universities. Good cross-cultural communication and collaboration requires understanding of the ‘other’ on both sides. 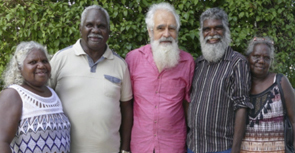 For the last 30 years, Why Warriors has been helping Yolngu to build their understanding of the dominant mainstream culture in their own languages, through radio programs, video, face-to-face sessions and mentoring. We have been providing critical information to community leaders and decision-makers, helping them navigate what is often a complex and overwhelming cultural domain.